This past week was Passover, which commemorates the Jewish people’s liberation from the bonds of slavery in Egypt. It also celebrates curious culinary delicacies like gefilte fish and unleavened crackers. 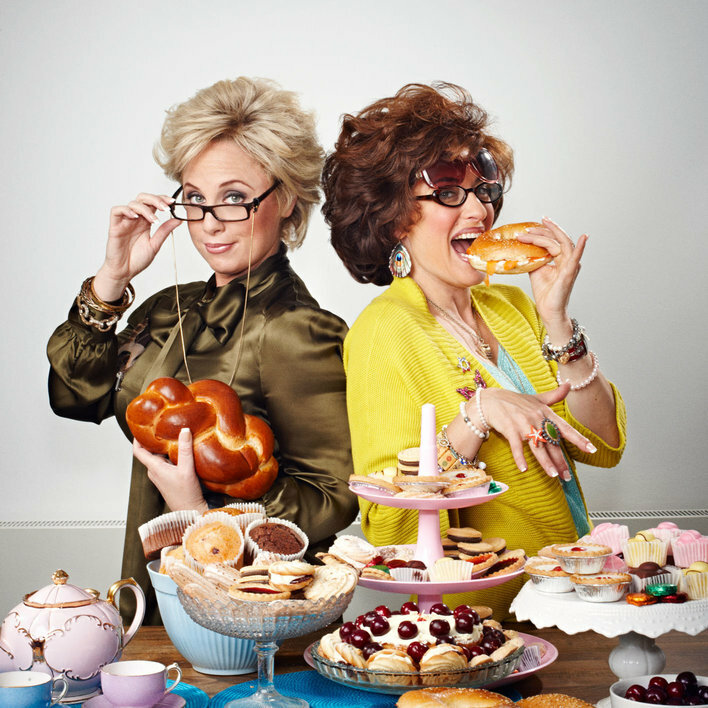 We thought we’d celebrate Passover week with our very favorite middle-aged Jewish ladies, Ronna Glickman and Beverly Ginsburg. They’re the authors of You’ll Do A Little Better Next Time: A Guide to Marriage and Re-marriage for Jewish Singles. The (fictional) book is not just for the chosen people, though. The pair also hosts a comedy podcast on Earwolf called Ronna & Beverly. Ronna and Beverly are also big podcast listeners. “I listen to a lot of podcasts. But I don’t love any of them,” Ronna told us. Beverly enjoys Story Pirates, Sword & Scale and The Room Where It’s Happening. Ronna’s podcast picks include Crimetown, Serial, Criminal and Dear Sugar. Can I Pet Your Dog? — Life is hard, but what better antidote is there to that than puppies? Writers and dog lovers Renee Colvert and Allegra Ringo celebrate Canis familiaris on this charming podcast. Never have two people fawned over man’s best friend more. Written Inside — Best-selling author and journalist Alex Kotlowitz goes into a maximum security prison to teach inmates essay writing. What emerges are beautiful and poignant stories about life behind bars, brought to life by voice actors. It’s a window into a world most of us know nothing about. Do you have a podcast recommendation you’d like to share with us? We want to hear it! Give us a jingle on the Pod Line at 202-885-POD1 and leave a message. Then we’ll put you on the radio and you can feel like you really made it.